Listen to Dr. Douglas Casa, COO of the Korey Stringer Institute on the Joan Hamburg Show (WABC Radio) discussing sport safety issues. To toughen safety standards in youth sports, medical experts are turning away from lawmakers and toward high school sports associations to implement policies and procedures to prevent deaths and serious injuries. 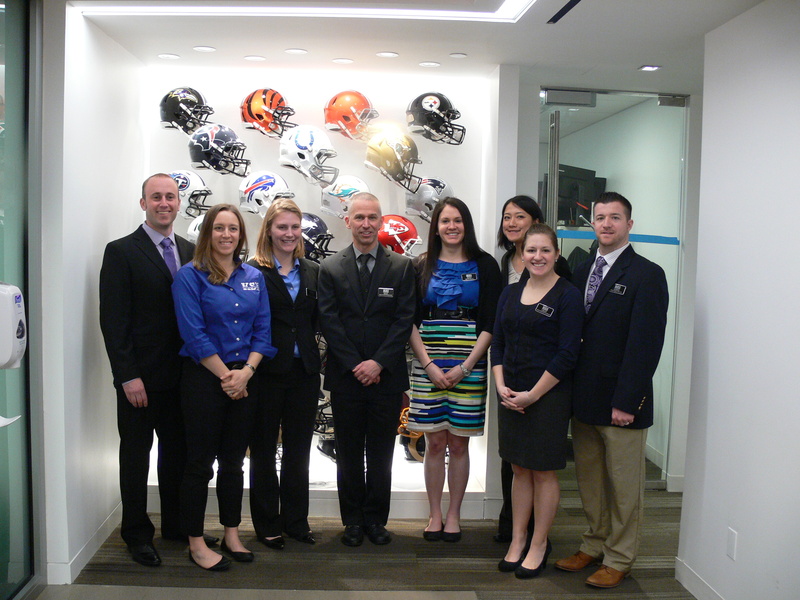 The National Athletic Trainers’ Association and the American Medical Society for Sports Medicine completed two days of meetings and programs with representatives from all 50 state high school athletic associations Friday at the NFL offices in Manhattan. The goal was to have decision-makers return to their states and push high schools to put into place recommendations on how best to handle potentially catastrophic medical conditions such as heat stroke, sudden cardiac arrest and head and neck injuries. Some states, such as Arkansas, have passed laws requiring schools to meet certain standards, but Doug Casa, director of athletic training education at the University of Connecticut, said high school associations should be first to act because they have more flexibility to move quickly. “Trying to get a state law passed, one, can take a long time but two, sometimes a lot of things get attached to the laws that weren’t the original intention. Also, they’re written by people who don’t truly understand the nuances of a football practice or how sports work into the system of a school year. Those are nuances that the state high school association totally gets,” Casa said. In 2013, best practice recommendations were published in the Journal of Athletic Training, but many states are still lagging in implementation of those guidelines. They include having a full-time athletic trainer on staff, having automated external defibrillators in every school and accessible to all staff members, and having an emergency action plan for managing serious and potentially life threatening injuries. Funding is often cited as the reason schools, many of which are already struggling to make ends, meet fail to implement these recommendations. According to the NATA and AMSSM, only 37 percent of high schools in the United States have full-time athletic trainers. Only 22 percent of states meet the recommendation that every school or organization that sponsors athletics develop an emergency action plan. Only 50 percent of states have met recommendations that all athletic trainers, coaches, administrators, school nurses and other staffers have access to an automated external defibrillator. Casa said just 14 states meet the minimum best practices with regard to heat acclimatization, but the ones that have adopted them since 2011 have had no athlete deaths from heat stroke. Casa cited Georgia, Arkansas, Texas, North Carolina and New Jersey as states that have been leaders in implementing the recommendations. Jason Cates, a member of the executive committee of the Arkansas Athletic Trainers’ Association who led reforms in Arkansas after a high school basketball player died of sudden cardiac arrest in 2008, said that while legislation can be help to move programs forward, it can also create problems with legal liability. “At what point in time are we going to legislate ourselves out of sports?” he said. “I think in some states, in some instances (legislation) is the way to go, but my hope is people just get it. Casa acknowledged legislation is often necessary to fund programs. With legislation comes politics and give and take. Kevin Guskiewicz, professor and co-director of the Matthew Gfeller Sport-Related Traumatic Brain Injury Research Center at the University of North Carolina, said that doesn’t come easy for medical professionals. On March 26th and 27th, the National Athletic Trainers’ Association (NATA) and American Medical Society for Sports Medicine (AMSSM) in conjunction with the Korey Stringer Institute (KSI) and the National Football League (NFL) hosted the very first “Collaborative Solutions for Safety in Sport” meeting at the NFL Headquarters in New York, NY. This meeting was made possible by the lead sponsors, NATA and AMSSM. Corporate sponsorship was provided by MISSION Athletecare, Jones & Bartlett Learning, PRIVIT, and Camelback, and supported by KSI and NFL organizations. We know from years of research that many of the deaths that occur in sport are preventable if best practices for prevention and management are in place. Therefore, the goal of this meeting was to bring together the state high school association leaders and sports medicine advisory committee members and the National Federation of State High School Associations to discuss development and implementation of best practice policies for safety in sport. We are excited to have had representation from all 50 states in one room for this meeting, and provided opportunities for key decision-makers to review and enhance safety policies currently in place in their respective states to reduce risk of sudden death in high school sports. Chris Valletta, co-founder of MISSION Athletecare kicked off the meeting with the keynote. The remainder of this first day involved emphasis on best practices and policy implementation for heat-related illness and cardiac events. Dr. Douglas Casa, Chief Operating Officer of KSI, spoke about the importance of policies including heat acclimatization and wet-bulb globe temperature monitoring that should be in place at every high school, as well as proper recognition (via a rectal thermometer) and treatment (ice water immersion bath) of heat-related illnesses. Regarding cardiac events, Dr. Jonathan Drezner, team physician for the University of Washington and Seattle Seahawks, spoke about the absolute necessity of having AED’s readily available at all high schools and competition/practice locations, as well as the importance of regularly practicing emergency action plans and performing monthly checks of AED batteries and pads to ensure they are ready to use in case of an emergency cardiac situation. The second day began with a keynote address from Dr. Brian Hainline, Chief Medical Officer of the NCAA. Following his speech, Ron Courson, Athletic Director of Sports Medicine at the University of Georgia spoke about emergency action plans and when properly implemented, practiced, and executed, can ultimately save the life of an athlete. To close out the meeting, Dr. Kevin Guskiewicz, Director of the Matthew Gfeller Sport-Related Traumatic Brain Injury Research Center in UNC Chapel Hill, spoke about head injuries, including concussions, and the policies that should be in place at every school to protect the health and safety of the student-athletes. Guskiewicz brought home the idea that “This is not an injury that can be managed by a clock, calendar, or cookbook.” Head injuries should be treated on an individual basis, and policies need to be implemented to ensure the athlete is not returning to sport before he/she is physically and cognitively ready. The meeting was an absolute success for being the first time in history that the key people from each state were together in one room for the same initiative. Great questions, comments, success stories, as well as struggles were brought up from those in attendance. We each face challenges regarding policy development and implementation, but this could be achieved more quickly if we collaborate and work together. With this meeting, the NATA, AMSSM, KSI, and NFL hope to have instilled in the attendees the knowledge and materials the attendees need to return to their respective states and make change happen; change that will follow best practices, change that will ensure athletes are getting the absolute best medical care they deserve, and change that can save a life. “A 2 millimeter difference can make a mile change.” Are you prepared? Do more than care. Think. Act. Make a change. Save a life. For more resources and information that were shared at the meeting, please visit: www.SolutionsForAthleteCare.org. Listen to Dr. Casa’s Interview with NPR here. Doug Casa, chief operating officer of the Korey Stringer Institute, says the highest number of sports-related deaths in the U.S. are among the 7 million high school athletes. Casa, along with the National Athletic Trainers’ Association, is asking all 50 states to adopt safety procedures to safeguard athletes. Casa joined Bill Littlefield to discuss his efforts to make high school sports safer. BL: Doug, how many athletes are we talking about in a given year? DC: In a given year, if we just focus on high school, you usually see between 20 and 30 deaths. We’re also very focused on what we call “catastrophic injuries” that may not lead to death. And those will number in the hundreds. BL: You focus your study on four causes of death: sudden cardiac arrest, head injuries, heat stroke and complications from the sickle cell trait. How did you narrow it down to just those four? “Kids … find the tests pretty easy to beat,” says the founder of a group that aims to prevent steroid use. DC: It’s a good question. I mean, the research has shown that those four causes of death actually are about 90 percent of all the deaths that we see in high school and college sports. So it’s not to say there aren’t other things that could be dangerous to an athlete, like lightning strikes or something called hyponatremia or asthma. But those four that I mentioned, all four of these conditions can be prevented. And in the case of heat stroke, for instance, death is 100 percent preventable if treated properly. And in the case of cardiac conditions, if an AED [automated external defibrillator] is placed on within a minute, they’re 90 percent preventable. BL: In 2013, I understand that along with the National Athletic Trainers’ Association, you recommended that all 50 states adopt guidelines to protect athletes from sudden death. But in 2015, only 22 percent of states have done that. Why is it so difficult to get everybody on the same page when it comes to something so basic as player safety? I’ve been an expert witness on 35 cases where deaths have happened in sport … and in almost all the cases, the death was preventable with relatively simple, simple policies and procedures. DC: It depends on which particular policy we’re speaking of. I mean, some states have moved forward faster, for instance, like with some concussion policies as an example.But they’ve been a little slower, maybe, with heat acclimatization policies or AED policies. Because at the high school level, you have to change policies on a state-by-state level. It’s not like the NCAA, or the NFL, or professional governing bodies where one organization will influence everyone. I really think the last three-to-five years have been just a total, monumental shift in the thought process, and we’ve seen a lot of substantial changes. As an example, with heat acclimatization, in 2011 we had zero states that met the minimum guidelines for heat acclimatization, which is kind of the key step to prevent heat stroke deaths. And now we’re at 14 states. And it might not seem like a lot, but of those 14 states, 10 of them are in the Southeast, and we still have not had a heat stroke death in any of those 14 states that have followed those policies. So that’s powerful ammunition for those other states to move forward and adapt some of these policies. BL: I find it hard to understand how something so commonsensical as “Hey, let’s have some acclimatizing to heat conditions” could ever be controversial anywhere. We don’t want to stop until we have 50 states, although my wife keeps convincing me we don’t need Alaska for heat acclimatization. DC: I wouldn’t say it’s controversial. Sometimes change takes a little bit of time because they have to change what they’ve done for the last 50 years. In high school football they like to start out and have their two-a-day practices, and a lot of times it’s a change of a mindset for them. So I do agree with you, it’s very common sense, it’s very simple changes and the amazing thing is it costs so money at all. So when we usually get a chance to sit down and meet with them individually, most make progressive changes. Fourteen states meet the minimum standards, but, to give credit, another 20 have made substantial changes in the right direction. BL: You know, Doug, I haven’t known you for very long but I can tell you are the ultimate “glass half-full” kind of guy if you’re talking about 14 states are on board, and you’re talking about progress. DC: Well, I guess my way of looking at it is 90 percent of all heat stroke deaths in America happen in concentrated states in the Southeast region of the country. So probably saving three or four kids lives every summer just by the states we’ve gotten on board — so that makes me feel pretty good for those families. But yeah, we don’t want to stop until we have 50 states, although my wife keeps convincing me we don’t need Alaska for heat acclimatization. But I mean that’s just one example. There’s a lot of really simple things we can do to keep kids safe. I mean, AEDs is a great example. It’s only $1,000 for an athletic department to have one nearby. Cardiac’s the leading cause of death in sport in America and to have an AED there is almost a foolproof way of saving someone’s life. It’s really a pretty small cost when you think of the benefit. BL: Especially when you’re thinking in terms of a $60 million high school football stadium. DC: That, or when you think about the lawsuits that emanate when deaths do occur that are preventable. I’ve been an expert witness on 35 cases where deaths have happened in sport, especially at the high school level. And in almost all the cases, the death was preventable with relatively simple, simple policies and procedures that would have protected that kid that passed away. Last year, 15 high school athletes died playing or practicing sports and thousands more suffered injuries, some of them career-ending. Many of those fatalities and long-term injuries could have been averted, say researchers with UConn’s Korey Stringer Institute, if more school systems hired full-time athletic trainers and adopted other important health safety protocols. 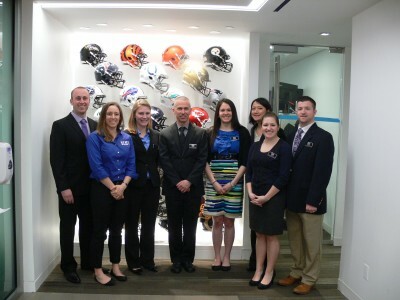 On Thursday (March 26), members of the Institute joined leaders from the National Athletic Trainers’ Association (NATA) and the American Medical Society for Sports Medicine (AMSSM) in a “call to action” to promote the need for more athletic trainers and other critical safety measures in high schools across the country. The groups made their case at a news conference at National Football League headquarters in New York. The NFL is a core sponsor of UConn’s Korey Stringer Institute (KSI), which is dedicated to preventing sudden death in sport due to exertional heat stroke and other catastrophic conditions. “It is vital for schools to have appropriate sports medicine care during games and practices to ensure the safety of high school student athletes,” says kinesiology professor Douglas Casa, chief operating officer of the KSI and director of athletic training education at UConn. The Korey Stringer Institute is affiliated with the College of Agriculture, Health, and Natural Resources. The joint news conference was a major milestone for the Korey Stringer Institute, which has been advocating for more full-time athletic trainers and better medical coverage for young athletes since it opened in Storrs in 2010. Casa and the KSI team have been conducting a nationwide education campaign to get states to adopt better health and safety protocols for athletes. Early in the process, Casa helped craft NATA’s landmark position statement on preventing sudden death in secondary school athletics that was endorsed by 16 organizations including AMSSM, which is the national governing body for team physicians, and the National Federation of State High School Associations. Thursday’s event included a first-ever work session with key stakeholders in high school sports medicine from all 50 states. The group discussed strategies for strengthening medical coverage for student athletes. Casa said future sessions are already planned for 2016 and 2017. Currently, only 12 percent of all states require that schools have a detailed emergency action plan in place for critical incidents involving athletes. Only 14 of the 50 states meet minimum best practices in regard to protecting athletes from heat stroke, such as limiting practices on extremely hot days and allowing athletes to gradually adjust to working out in the heat. Half of the states have automated external defibrillators at school-sanctioned athletic events. On the positive side, access to athletic trainers at high schools has doubled over the past two decades. Currently, about 70 percent of public high schools around the country have athletic training services, compared to about 35 percent in 1994. Yet schools without athletic trainers continue to rely on coaches, administrators, athletic directors, and others to provide on-site medical care. Only about 37 percent of schools around the country have at least one athletic trainer on staff as a full-time employee, according to a recent study conducted by the KSI in conjunction with NATA. Riana Pryor, director of research for the KSI, says a reliance on school faculty and other staff to recognize and treat sports injuries and related medical emergencies puts athletes’ lives at risk. Athletic trainers undergo years of training in such areas as athlete conditioning, injury prevention, emergency action planning, and injury treatment before becoming certified in the field, she says. In addition, athletic trainers are taught to identify the symptoms of potentially deadly conditions such as exertional heat stroke, cardiac conditions, and exertional sickling, which is a medical emergency involving reduced blood flow that occurs in athletes carrying the sickle cell trait. Pryor and her research team at the KSI contacted all 14,951 public secondary schools in the United States as part of their athletic trainer survey. Many schools were contacted multiple times with about 8,500 providing data. The study, published in the February 2014 issue of the Journal of Athletic Training, found that schools with athletic trainer services used them at competitions more than practices. This gap in medical coverage exists despite the fact that many injuries happen during practices where athletes often perform grueling drills and exercise longer than during games. With an estimated 7 million secondary school students participating in organized sports around the country each year and approximately 1.4 million high school sports injuries reported annually, having proper medical care and monitoring for those students is critical, says Pryor, a certified athletic trainer with a master’s degree in exercise and sports science, who served as the lead author of the study. NEW YORK – Awareness of health issues in youth and high school sports is quite high, and there is better access to life-saving materials, knowledge and planning than there has been, but young athletes continue to die in ways that would be preventable if treated more responsibly. That message from a panel of medical experts on Thursday applies to a full range of potentially catastrophic health incidents in teens, including sudden cardiac arrest, heat stroke, and concussive events, inclusive of any incident that causes brain or neck injuries. The one constant is proper medical oversight must be available and in far too many cases is not. That is a problem the panel hopes to address as part of two days of meetings here with representatives from the athletic bodies of all 50 states. According to the experts— including Casa; Jonathan Drezner, Seattle Seahawks team physician and director of the University of Washington Medicine Center for Sports Cardiology; Kevin Guskiewicz, University of North Carolina Matthew Gfeller Foundation Director; Jason Cates, head athletic trainer of Arkansas’ Cabot Public Schools, and Roman Oben a former NFL player who now serves as the league’s head of high school and youth football — one of the major problems plaguing the youth safety landscape is a lack of proper planning. The statistics are not pretty. According to the Stringer Institute, only 22% of states meet the recommendation that every school or organization that sponsors athletics develop a plan for managing serious and or potentially life-threatening injuries. A mere 12% of states meet the recommendation that every school have a written plan that is distributed to all staff members, while only 10% fulfill the recommendation that the plan is specific to each venue and includes maps or specific directions to that venue. When combined with an ongoing dearth of skilled medical professionals overseeing sports activities on campuses, it’s clear that even having all the right tools on campus can be insufficient in preventing death or serious injury due to sudden events. “When you recognize sudden cardiac arrest, apply CPR and use an Automatic External Defibrillator that is on campus, the survival rate is above 80 percent,” Drezner said. “The survival rate of sudden cardiac arrest in the general public is 8 percent. When there is public access to defibrillators, survival rate is around 50 percent. Every school must have an emergency action plan that will accompany having all of the tools. In fact, Cates could speak to those precise circumstances. In January 2008, Parkview High School basketball player Anthony Hobbs collapsed during a game at his school and died shortly thereafter. He had been transported to a local hospital but there was no AED at Parkview at the time. Two years later one of Hobbs’ teammates, Chris Winston, collapsed on the very same court that had claimed Hobbs’ life. This time the school was prepared. An AED installed just weeks before the incident was used before Winston was transported to a hospital. The panel focused on proper training and technique as opposed to the nature of sports themselves when discussing injuries. When asked about the recent retirement of San Francisco 49ers linebacker Chris Borland, all responded with an acknowledged respect for his decision but a wariness to use one man’s choice as a bellwether of reason, instead noting that, “every concussion is unique, like snowflake.” Borland cited concern over the long-term effect of concussions as the main reason he left after one season. All five panelists either do, or said they would, allow their sons to play football. The panel agree there is room for improvement, nationwide. Casa cited Georgia, Arkansas, Texas, North Carolina and New Jersey as states with policies that have proved quite effective and could serve as models for other states. Texas was lauded for passing the first bill that mandated AEDs be installed in all schools, while Washington passed a similar measure requiring a comprehensive approach to concussions and brain trauma. Whether those practices can be spread to other willing states remains to be seen. In the meantime, there were passionate calls for improvements where they could be made quickly, in terms of both staffing and exerting reasoned rationality when dealing with youth sports. In 2014, more than 15 high school athletes lost their lives during sports or physical activity. Thousands of student athletes develop acute and long-term injuries as a result of participation. Research shows that many of these deaths and conditions could be avoided if best practices were in place. Please join the National Athletic Trainers’ Association (NATA) and American Medical Society for Sports Medicine (AMSSM) for a national press conference where sports medicine leaders will discuss and unveil efforts to promote current health and safety protocols. 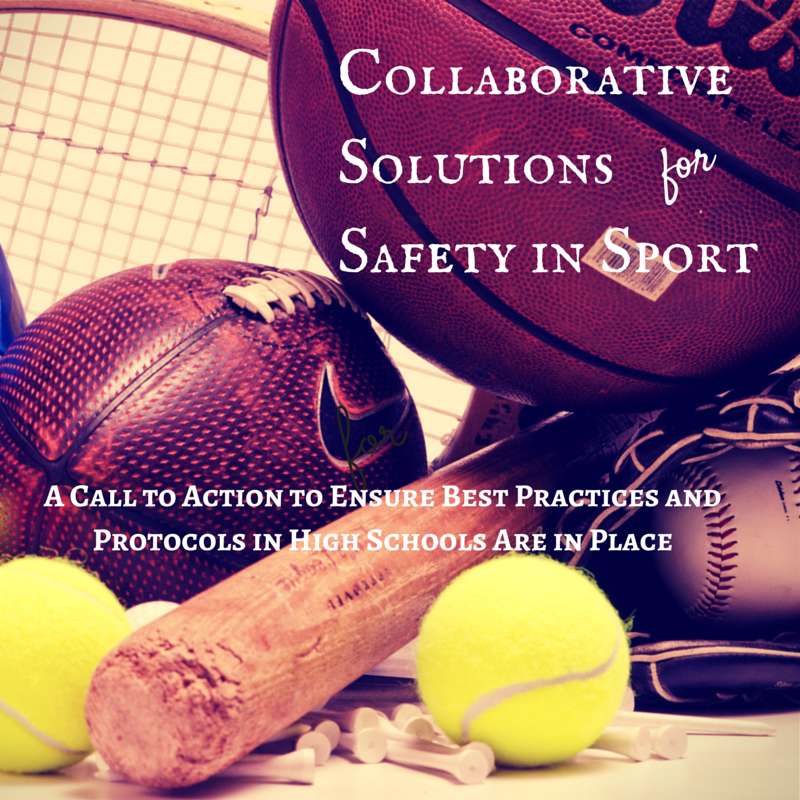 The goal is to develop a collaborative forum to share resources, tools, best practices and strategies designed to advance the safety of student athletes in secondary schools with a focus on emergency action plans (EAPs). Speakers will address heat-related illnesses, cardiac conditions, head and neck injuries and the need for EAPS in all high schools. While there have been advances in protocol (all states now have concussion laws in place), only 22 percent of states have met the recommendations that every school or organization sponsoring athletics develop an EAP for managing serious and or potentially life-threatening injuries. An editorial on emergency practice guidelines in high school sports will be published that morning in the April Journal of Athletic Training, NATA’s scientific publication. For the first time ever, and following the press conference, NATA and AMSSM with the support of the Korey Stringer Institute and the NFL, will bring together key stakeholders in high school athletics to discuss these initiatives and improve safety in youth sports. Leaders from all 50 states will be in attendance at the meeting. Emergency Action Plans: 12 percent of states meet the recommendations that every school has a written Emergency Action Plan that is distributed to all staff members; 10 percent of states fulfill the recommendation that the EAP is specific to each venue and includes maps and/or specific directions to that venue. Heat Acclimatization Guidelines: 14 of the 50 states currently meet the minimum best practices with regard to heat acclimatization. An estimated 28 percent of states meet the recommendation that total practice time should not exceed three hours in any one day. Automated External Defibrillators: Only 50 percent of states have met the recommendations that all athletic trainers, coaches, administrators, school nurses and physical education teachers have access to an AED on school property and at all school sanctioned athletic events/activities. Update: The Mission-KSI Heat Safety Pledge for high schools is well underway! We’ve had over 15 schools qualify, with several more applications in the works. Get your school on the list to get some great cooling products from Mission Athletecare! Congratulations to Marshwood High School in Maine, which was the first school accepted. We have also accepted schools from Alabama, Arkansas, District of Columbia, Florida, Maine, Maryland, Massachusetts, New Jersey, North Carolina, Ohio, Tennessee, and Texas. A little background on the Heat Safety Pledge: Mission Athletecare prides itself on creating the best athletic environment for performance and safety. As part of that goal, they wanted to find a way to reward schools for upholding appropriate policies for heat safety. Mission wants to donate $1 Million of product to schools nationwide who are striving to keep athletes safe. And this is where KSI comes in. Mission masterminds, with the help of KSI of course, devised the Heat Safety Pledge, 6 pillars aimed at safety while exercising in the heat. We feel that these are the 6 key areas that help high schools athletes perform at their best and stay safer while exercising in the heat. Pillar 1: Thermometer– A wet bulb globe thermometer is on site at school and used to determine activity modifications based on environmental conditions. It is school policy to modify work to rest cycles based on environmental conditions. Pillar 2: Certification– All coaching staff is certified in first aid, cardiopulmonary resuscitation and the use of an automated external defibrillator. Additionally, education is provided related to preventing sudden death in sport. Pillar 3: Athletic Trainer– An athletic trainer is employed at your school and is on-site during practices and events. Pillar 4: Emergency Action Plan– A specific emergency action plan for each athletic facility has been developed where sports games and practices occur. This plan is reviewed with the healthcare team every year. 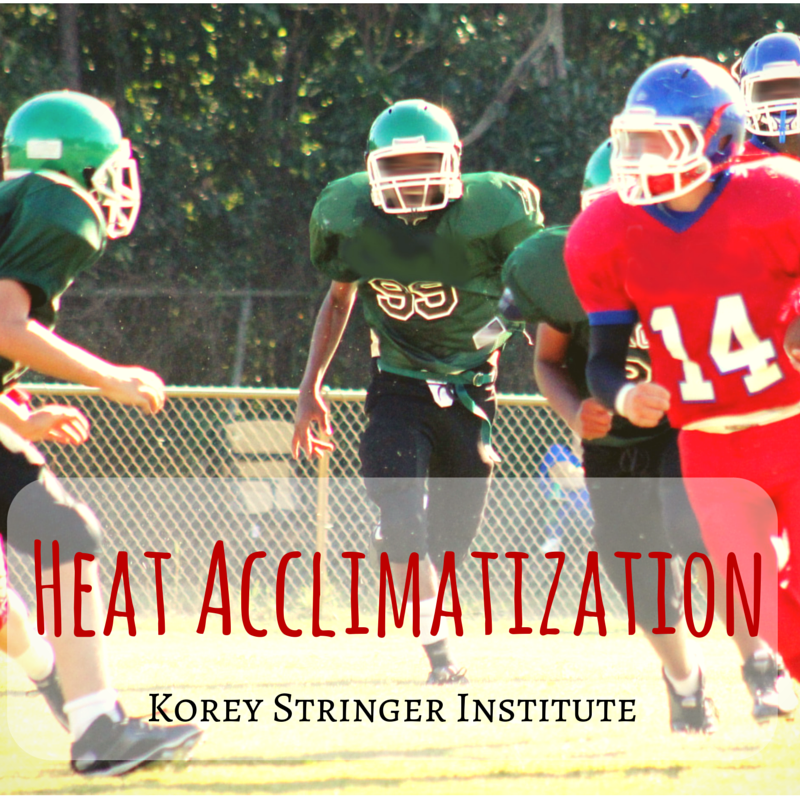 Pillar 5: Heat Acclimatization Guidelines– School has adopted nationwide high school preseason heat acclimatization guidelines set forth by the National Athletic Trainers’ Association. Pillar 6: Water Stations/Body Cooling- Adequate water is available and placed at various stations around the athletic fields for all sports. At water stations, body cooling is standard practice. This can be as simple as encouraging players to remove equipment during rest breaks as using ice/cold towels. Some of the pillars of the heat safety pledge require little funding, emergency action plans for example; and can be implemented right away! 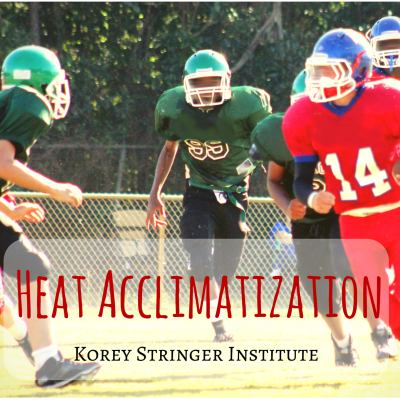 Appropriate heat acclimatization is regulated by some state athletic associations, so if your state meets the KSI heat acclimatization standards, you already satisfy one of the pillars. But even in states without good guidelines, appropriate heat acclimatization procedures cost no money and can prevent heat illness. On the same note, we’re talking to YOU high school athletic trainers, your employment helps satisfy one pillar as well. What a way to get some much needed supplies for your school! Take a look at the Heat Safety Pledge today to see if your high school qualifies. If you’re unsure, use the KSI Prevention section for more information on common practice standards. Contact Mission for more information on how to apply. Strenuous physical activity in hot, humid environments places individuals at great risk for heat-related illnesses and exertional heat stroke. Annually, many individuals, such as athletes, occupational workers, and soldiers suffer from these conditions. Heat acclimatization is, perhaps, the most effective way to mitigate these exertional heat illnesses, as well as improve performance in the heat. The improved ability to exercise in a hot environment due to physiological adaptations that occur over a period (10-14 days) of repeated exposures to exercise-heat stress. Overall, these adaptations lead to a decreased core body temperature during exercise. Many heat illnesses occur on the day after a long, novel heat stress. For example, day 2 of preseason football practice following a day 1 two-a-day practice. What is the driving physiological mechanism? Does heat acclimatization help to prevent this occurrence? Heat acclimatization adaptations are transient and will disappear in 1-3 weeks if heat exposure is not maintained. Does an intermittent heat exposure intervention help to mitigate heat acclimation decay and thus maintain adaptations? Body cooling during exercise in the heat helps to mitigate rise in core body temperature. How does heat acclimatization effect cooling rate during and after exercise? Recently, our research team has completed a large heat acclimatization study in order to answer these unknown questions. Our hope is to further the scientific knowledge and provide a more comprehensive understanding of heat acclimatization, with the ultimate goal of keeping all athletes safe. Stay tuned and follow us on social media for news of when results are published! 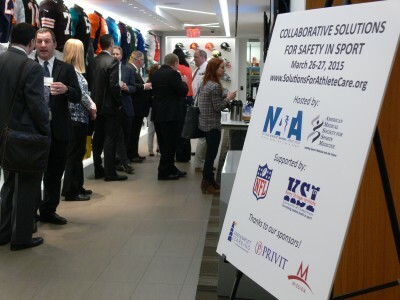 On Monday March 2, 2015, Samm Scarneo, director of youth sport safety, attended the 6th annual Youth Sport Safety summit in Dallas, TX. Presently, the Youth Sport Safety Alliance has 206 members. The overall arching mission of the youth sport safety alliance is to collectively recognize and make an effort to improve youth sport safety. This year’s conference featured a talk from Dr. James Andrew’s as the keynote speaker. Dr. Andrew’s talk circulated around many aspects of youth safety but in particular ulnar collateral ligament, or tommy john ligament, surgery in youth athletes. Dr. Andrew’s specified youth athletes should not be throwing until fatigue and that typically true UCL injuries in the youth population are few and far between. The significant increase in the prevalence of tommy john surgery in youth athletes has been, in his opinion, unnecessary surgeries. Additionally, Dr. Andrews stressed the importance of athletic trainers at all youth sporting events and that proper recognition and treatment of athletic injuries is a key aspect to improved safety of our youth athletes. This message was echoed by all presenters within the conference; the importance of proper medical care and the constant communication of the athletic medical team – from the athletic trainers, to team physicians, parents, administrators, nurses, nutritionists, and EMS alike. Dr. Dawn Comstock also presented recent high school injury rates from the high school RIO prospective study. This study utilizes an online program where certified athletic trainers log into the system and report on injuries including athlete exposure data. Recent research has identified that although the overall rate of injuries in competition is high, that more than half of the injuries sustained by our athletes occur in practice. Additionally, the recent research shows that of all the medical disqualification injuries for a season or a career are often due to a knee injury, with 31.3% of DQs resulting from a knee injury. An interesting finding when evaluating girls and boys lacrosse is that although the rates of concussions are similar, boys lacrosse concussion injuries primarily result from a player-to-player contact whereas girls lacrosse injuries occur primarily from a player-to-apparatus mechanism. Dr. Comstock attributed this increase in girl’s lacrosse from playing apparatus as a possible result from no type of head gear as the girls only wear eye protection and no hard-helmet protection. Increasing youth sport safety is one of the most important factors facing today’s generation. Together we have the ability to improve the safety and wellness for our youth athletes. As the director of youth sport safety for the Korey Stringer Institute, I am proud to say that improved safety for all athletes is a goal we work towards every day. Here at KSI, we are fortunate to have a strong team of invested, passionate, and relentless individuals who everyday strive to improve safety for all athletes regardless of age, and I have to say I am thrilled to be working with each and every one of them.